Web site and all content copyright VANMARK Entertainment, LLC except where credited. Unauthorized use is prohibited without permission. 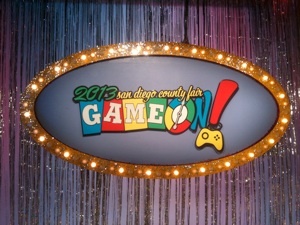 San Diego’s first choice in Creative Services for the Entertainment Industries. 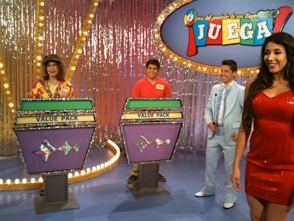 The director wanted a tacky, 1970’s style generic game show set, with lots of “over the top” flash. 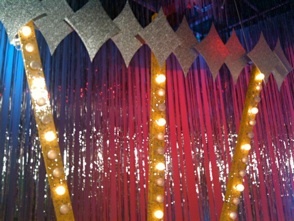 So, we designed this set, but not without first asking if we could have a goat in the final confetti drop scene. “A goat? Why a goat?” he said. “Because it’s weird, and it’s a county fair.” we said. 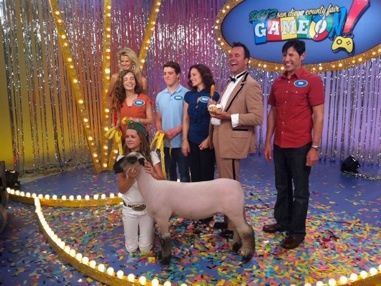 They couldn’t get a goat, but they did find a girl from the local 4 -H Club who owned a lamb. And yeah, it’s weird. But it worked. LOMA MEDIA | COMPUTER SCIENCE CORP.
FOUR SQUARE | PARKER BROS.